In 2009, we purchased a historic commercial building in downtown Three Rivers, a small city of about 8,000 people. Built in 1865, the building now houses a fair trade store on the main floor and our home on the second floor. When we renovated the living space upstairs, it hadn’t been in use since the 1960s and we enjoyed doing the design and much of the work ourselves. We anticipated becoming parents some day and included a sweet little second bedroom, claw foot tub for bath time, lots of space for books and cooking together, and an open floor plan (which our friends’ and siblings’ kids have already broken in with lots of running around!). We strongly believe that a home is both a safe space for the nuclear family and a space for sharing everything from ordinary meals to special celebrations with family and friends. A home is a hub for community! 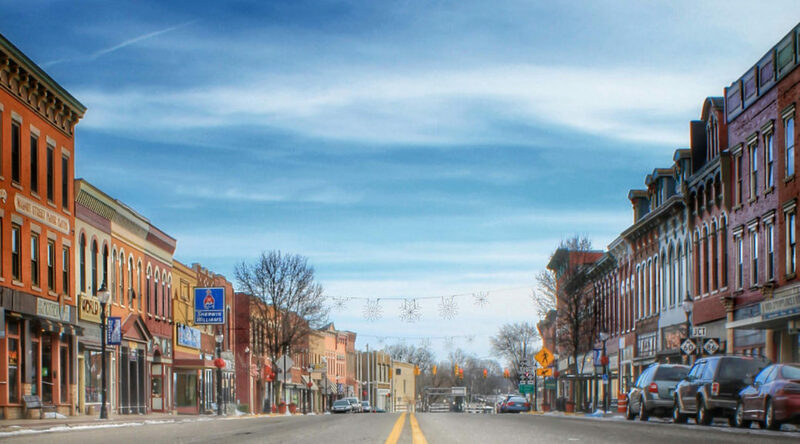 We love living in downtown Three Rivers, which is a unique combination of urban and rural living, and can’t wait to see our neighborhood through our child’s eyes. There are several great riverfront parks and a wonderful bookstore within easy walking distance and neighbors of all ages, including families with young children. The unique design of our downtown even includes a nice, private green space right behind our building that will be perfect for safe outdoor play, and our back windows look out over wetlands and woods longing to be explored. As a whole, our community offers so many opportunities for our child to meet and appreciate diverse people: black, white, and brown; young and old; business owners, monks, and artists; people with special needs and people who have lived abroad; and so much more! A neighborhood where people know each other’s names and look out for one another feels like just the right place for us to raise a child.